I to have the same problem as you guys. Did you end up replacing the harness? Where is this harness located? Thanks to gordgee's tip I was able to find the sliced wire. Apparently this isn't uncommon, the wires in the flex tube on the passengers side tends to tear due to flexing and pulling. Infiniti would have been wise to give more slack and possibly a lower gauge wire. I'll take a picture tonight. 3/4 of my wires have the insulation almost removed while 1 wire is completely cut into half! I temporarily connected the wires to check. Terribly sorry for the delay but here are the pics I took when diagnosing and fixing this issue. The culprit was a severed wire going into the trunk lid. Apparently this is a common issue as Gordgee had a similair issue. Step 1) Locate and remove the flextube going into the trunk lid to reveal the wiring. Step 3) I used a spare wire and soldered it to the severed ends and wrapped electrical tape around the points and the other wires that had some of its insulation cut away. 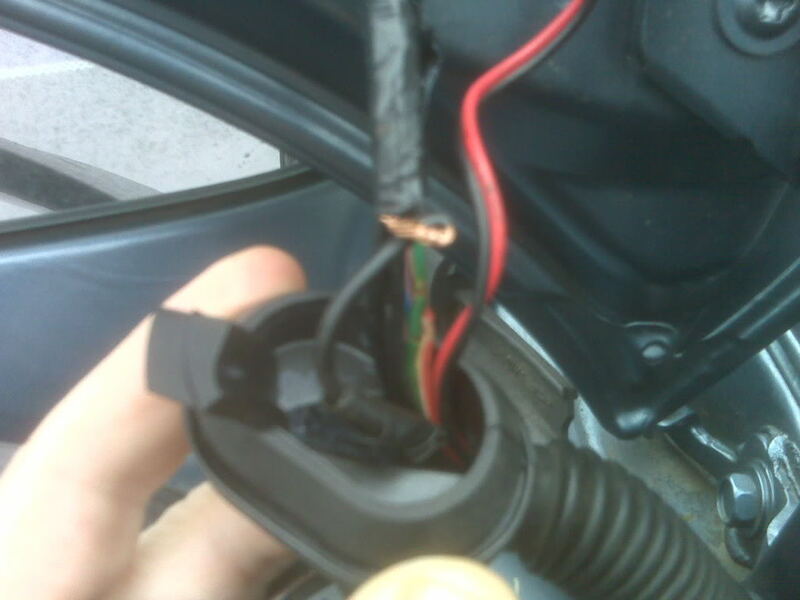 Its a good idea to bundle the wires with electrical tape afterwards. Hopefully this will give it some shielding in case it rubs against a sharp edge. Arg, thanks for the thread. This just happened to me again today! 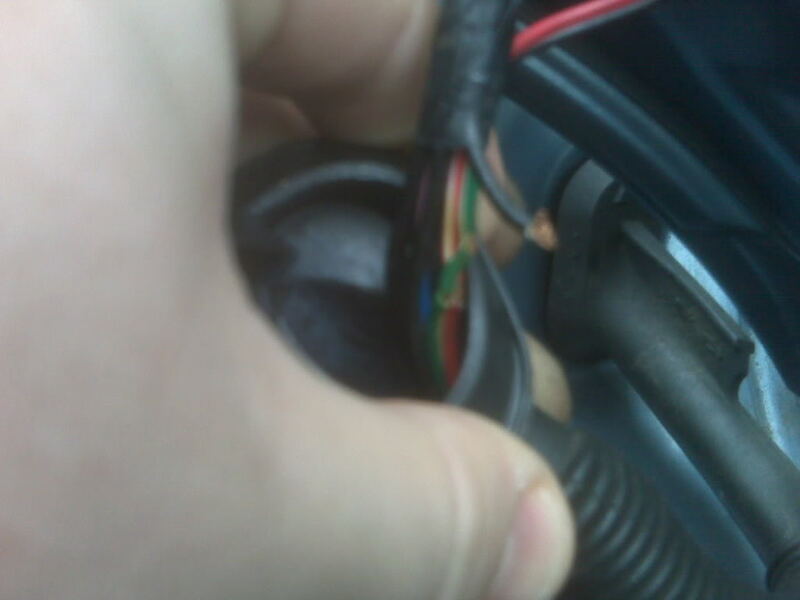 First time I got it fixed was around Christmas / New years time and the dealer said they had fixed the wiring, well apparently they didn't do a good enough job. I am going to check this area again. Infiniti / Nissan should issue a TSB for this. Ok just went outside and pulled out the wires from the same area. I see where the dealer had done the same fix by putting a patch wires, the only problem was that the piece of patch wire they used was very stiff and they put some heavy duty thick heat shrink over the solder joints. So it had worn away just right were the heat shrink ended. They then topped it off with a crap load of electrical tape, and that rubber cover / boot is getting in the way and not making things any easier. Last edited by bigwilly; 08-24-2008 at 06:58 PM. Bigwilly -- Was your issue happening sporadically? I am having a similar issue with my 2005 G35 Sedan. Trunk won't open sporadically via key fob, switch in car or button next to trunk. Only way I get it open when it happens is to turn on the ignition and then the switch inside the car works. I am going to chk fuses, but sounds more like something weird with the electrical system. This was the problem with me.. the wires were cut i put them back to gether but there was 1 wire a black one that I couldnt find the other end for( coming out of the ca)Ricebrnr how many wires were there total? ok random but whenever i shut off the car before i come to a complete stop (i do this at home to keep the TP exhaust to a minimum) it wont open the trunk, i have to get in and put the key in the car and movie it like a foot ON before it will open again. Just something random ive noticed. I'm not sure exactly how many, but judging my the pictures I posted i'd say about 4-5. Your best to download the pictures and zoom in. VERY big thank you to Ricebrnr! You helped me fix my trunk, I was going crazy for 2 days, and about to spend $1500 to extend my warranty...I can't believe infiniti doesn't issue a recall for this S**t! My green one was completely cutoff, other ones are ok so far, crossing fingers. Just a word of caution when I was stripping the stock sleeves they are so thin it's very easy to cut right through them. Not sure why Infiniti installed such thin wires and with no slack, the ones I got from Walmart had stronger and thickers sleeves.